Can I Move Into My New Home on Closing Day? The home loan day of funding, when the funds actually transfer from the lender to the seller, is one thing that must happen before you are given your keys. It’s very good to know the exact date of funding so y ou know precisely when interest payments on the mortgage begin. September 15, 2018 - If you are new to the FHA home loan process, it’s easy to assume certain things about the FHA mortgage. Some of these things, like the requirement to make a down payment on your home loan, are definitely safe to assume. But others are not. For example, the closing date on your mortgage is not necessarily the day you should plan on moving into your new home. There are several reasons, including the possibility that your closing date may be changed at some point for reasons beyond your control. But there are other factors, too. The home loan day of funding, when the funds actually transfer from the lender to the seller, is one thing that must happen before you are given your keys. It’s very good to know the exact date of funding, at least for some who want to know the specific and precise start of their interest payments on the mortgage. The day of funding date is when your interest begins accruing. But funding day is not the only hurdle which must be cleared in order to get the buyer her keys to the new home. Your home must also be officially recorded in your county. It may be possible that the recording day is the same time as your closing date. But it may not be-you will need to discuss that with your loan officer since every county is different and loan procedures in one state may not be the same as in others. 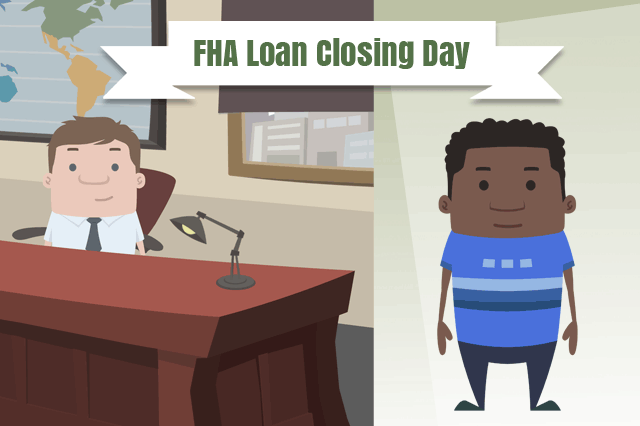 There is yet another consideration to think about when it comes to your closing date, getting the keys to your home, and preparing to make FHA mortgage payments; the seller’s needs. Your seller may stipulate remaining in the home for a certain amount of time after the loan has closed in order to facilitate the move-out process. This will likely be reflected in your sales agreement-whatever is in writing in your contract is what must happen regardless of your closing date. If you aren’t sure about how these issues can affect your closing date and the timing of your occupancy of the new home, talk to your loan officer about your concerns. Remember that in most cases the FHA borrower has up to 60 days to move into the home and begin using it as the primary residence under the terms of your FHA home loan agreement. The seller and the lender will be aware of the 60 day rule and your seller may request some additional time that does not interfere with that requirement.